Got that sniffly, sneezy, curl-up-in-bed feeling? It could be a cold or the flu, especially this time of year. But it's important to know which, say doctors. "Up to 20 percent of Americans come down with the flu every year and on average, adults get two or three colds a year -- kids get even more," said CBS News medical contributor Dr. Holly Phillips. 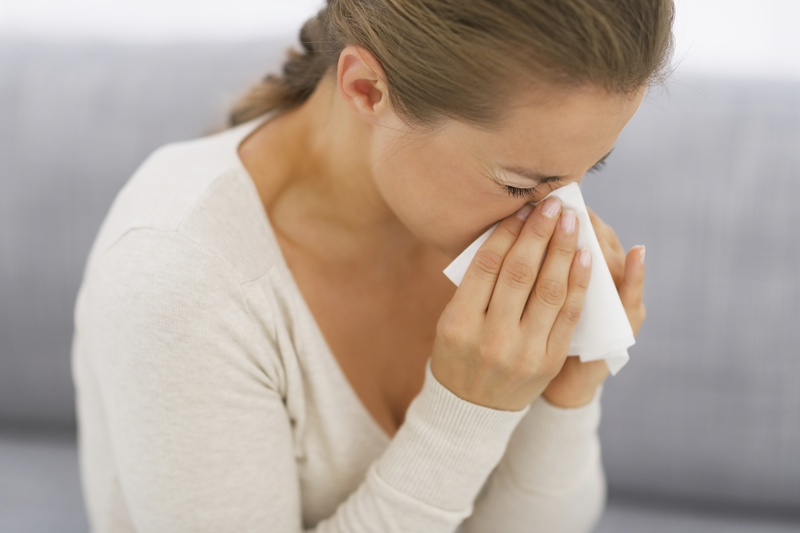 "We often use the terms cold and flu interchangeably. But they are completely distinct illnesses with their own set of symptoms. The differences can actually be picked up right away," Phillips explained on "CBS This Morning." Common colds are a drag and annoying, but they tend not to be very serious. That's not the case with the flu. "The flu causes more than 24,000 deaths a year and about 200,000 hospitalizations, sometimes more," Phillips said. She explained how to tell the difference - and which treatments work best. Common cold symptoms include a sore throat, congestion, sneezing, and a cough. "Colds tend to start very gradually. You might get a slight sore throat and then the congestion begins. And one or two days into it, you can develop a cough." Flu symptoms, on the other hand, include fever, body aches, and fatigue. A high-grade fever of 102 to 104 degrees F probably signals the flu. "The flu is very different. It has a sudden, severe, and abrupt onset. One minute you feel fine and the next, you feel like you were flattened by a truck. The herald symptoms really are fever, body aches, chills, and fatigue," Phillips said. The flu can be treated with antiviral medicines such as Tamiflu and Relenza, which are available only with a prescription and must be taken within two days of the onset of illness. "Those shorten both the course of the illness and the severity of your symptoms," Phillips said. Over-the-counter medications may help treat symptoms for both colds and flu. And if there's any debate about whether or not you have a cold or the flu, many doctors' offices now carry test kits called a rapid influenza detection kit. The doctor takes the swab -- it's like a very long Q-tip -- and swipes each nostril once. The swab develops in a test tube for five minutes, and determines with 99 percent accuracy whether or not it's the flu. "If it's positive and you've just started to have symptoms, within the first 48 hours you can take the antiviral medicine and get some relief. And if it's negative, it is a cold and you just kind of have to tough it out with some chicken soup and rest," said Phillips. Antibiotics are not affective against the common cold or the flu. They only treat bacterial illnesses. Both the common cold and the flu are caused by viruses, not bacteria. Phillips said more reasons to avoid antibiotics for both illnesses include: they will not keep other people from getting sick, they may cause unnecessary and harmful side effects, and overuse of these drugs lead to the development of dangerous antibiotic resistance.